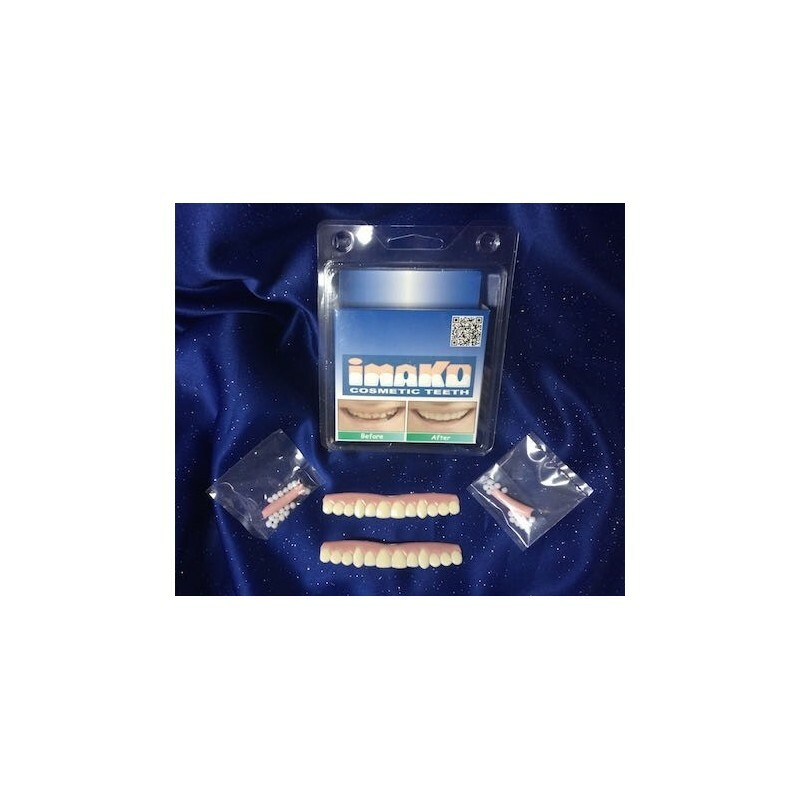 Two-Pack of large, bleached Imako Cosmetic Teeth®. Save $10! Al comprar este producto puede obtener hasta 5 Puntos de fidelidad. Total de su carrito 5 points que se puede(n) transformar en un vale de descuento de $3.33. 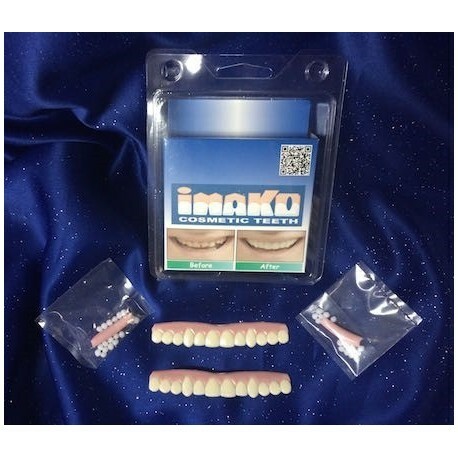 For our repeat customers, this package contains tho Imako Cosmetic Teeth, size large, bleached color, two pink & white bead packages, one set of fitting instructions and one white carrying case.